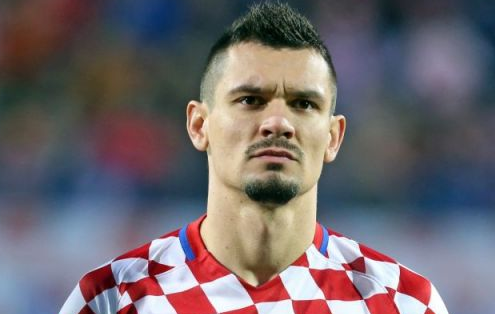 Dejan Lovren is a Croatian professional footballer who plays as a centre back for Premier League Club Liverpool and the Croatia national team. His shirt number is 6. His team mates are Dominik Livakovic, Ivan Strinic, Vedran Corluka, Luka Modric, Milan Badelj, Ivan Perisic, Mateo Kovacic and so on. He is famous for his outstanding performance in his professional life. Dejan Lovren was born on 5 July 1989 at Zenica, SFR Yugoslavia. His father name is Sasa Lovren and mother name is Silva Lovren. His parents are Croatian so his nationality is Croatian. He has a younger brother named Davor Lovren who is also a professional footballer. He is a passionate player. His astrological sign is Cancer. His ethnicity is white and religion is Catholic. He started his career at Dinamo Zagreb. Talking about Lovren body, his height is 1.88 m. His weight is of 84 Kg. His eye color is brown and hair color is also brown. He has balanced body with good health. In 2004 Lovren joined GNK Dinamo Zagreb but before this he used to play for local teams NK Karlovac as a youth. He made his debut for Dinamo on 10 May 2006. He was loaned to NK Inter Zapresic for two seasons where he made 50 league appearance and scored one goal. After he returned he made 38 appearances in matches in season 2008-2009 in which he scored three goals. He featured in UEFA Champions League as well. Lovren signed for French Ligue 1 club Olympique Lyonnais for four-and-a-half-year contract. He made his competitive debut on 24 January 2010. His Ligue 1 debut came in 31 January. He made 10 appearances mostly as a substitute. He was made to take part in UEFA Champions League as he had already played for dynamo Zagreb at that season. His playing time increased in season during 2010-2011. In November he was listed in the Don Balon list of 100 best young players in the world. He extended his contract for two more seasons on 23 January 2012. He was in the 2012 Coupe de France Final. Lovren signed Southampton on a four-year contract. He made his debut on 17 august 2013. He scored his first goal which was against Liverpool on 21 September 2013. He was named in Bloomberg Sports and was the fifth highest ranked player from the Premier League in 31st position. Lovren was transferred to Liverpool on 27 July 2014. He signed the four-year deal in Liverpool becoming the most expensive defender in the Liverpool history. He made his debut on 10 August 2014 and made the competitive debut on 17 August. He was in the opening game of Premier League season. he scored his first official goal on 28 October. He gave his poor performance in Champions League and was taken out of the team. He again regained his place in lineup for first three games of 2015-2016 season. he performed well securing three clean sheets and seven points. But he again lost his place. On 8 November he came as the substitute. He was described as having transformed into “calm and composed” leader on the pitch by Liverpool Echo. He extended his contract until 2021. He also captained the team. Liverpool was qualified for UEFA Champions League. 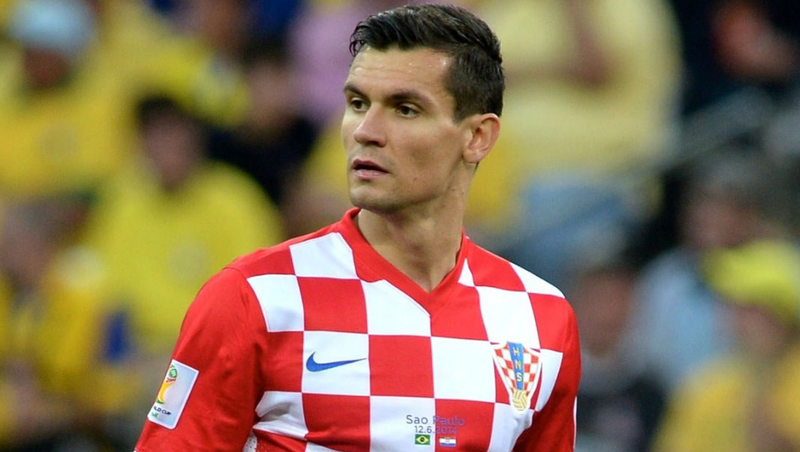 Lovren made 54 appearances in various Croatian youth national teams. He received a call for Croatian National Team in 2009. He was in UEFA Euro 2012 qualifying match. He was also in 23-man squad for UEFA Euro 2012, 2014 FIFA World Cup qualifying match and 30-man squad for 2014 FIFA World cup. He was named in Croatia’s preliminary 32-man squad for 2018 World Cup in Russia in May 2018. Recently Croatia has played with Nigeria and won by 2-0, Argentina and won by 3-0 and Iceland and again won by 2-1. He sparked an incident in celebrating Croatia’s World Cup victory against Argentina by singing Marko Perkovic’s “Bojna Cavoglave” in the locker room. This is a nationalist song that contains the phrase " Za dom- spremni!" which means ready for the homeland. Lovren is married and his wife name is Anita Lovren. They got married in 2012. He has two children, a daughter named Elena Lovren and a son named Josip Lovren. Lovren net worth is estimated to be $9 Million. He earns salary of $5.2 Million. His earning sources are National team and Liverpool.